This entry was posted on October 19, 2015 by Jessica Anderson. Retirement represents a significant right of passage in a person’s life. When an employee devotes years of service to a career, retirement changes their life significantly. How the retiree is honored will remain with them and their families for the rest of their lives. 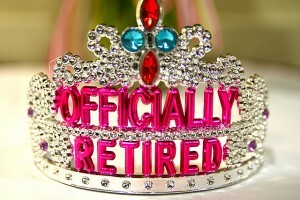 How Do You Honor A Retiree? 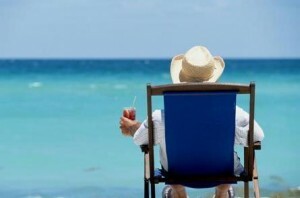 Retirement is a right of passage meant to be celebrated! Plan a retirement party. Big or small, a party matters. Whether an informal gathering during the day or a more formal event after hours, it's important thing to have key people present - the retiree's current and past co-workers, managers, and spouse. Retirement awards and gifts should be presented at this event. Have a theme. Get inspiration from something the retiree enjoys, such as a hobby or a favorite vacation spot. Use the theme as a starting point for decorations and games, if you're having them. The theme makes a party more fun and memorable. Say something nice about the retiree. Careful planning should be given to these words, as they will make a lasting impression. It's more meaningful when the speaker has worked directly with the retiree. Make sure to mention the contributions the retiree has made to the organization throughout their career. Make the retirement gift meaningful. Since the gift is a symbol of tenure with the company, it’s important. 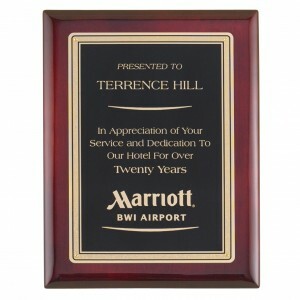 Beautiful engraved clocks, vases, plaques, and other personalized award items are popular choices for retirement gifts. Your gift will be most meaningful if a senior member of the company presents it. The most important thing is that the person is honored and appreciated for their years of loyalty, dedication and contribution to the organization. Example of retirement text for an engraved wall plaque. Sometimes it can be difficult to decide what words to put on an engraved award. Below are 4 examples of text that can be used on retirement awards to make it meaningful. These are only guidelines; be creative to capture the essence of the person you're honoring. 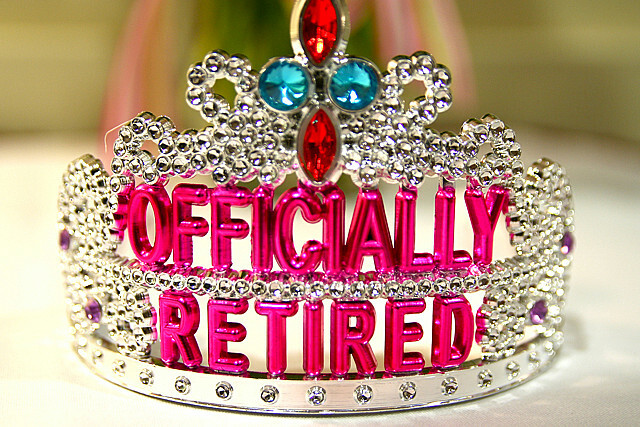 Congratulate someone special on their retirement! Retirement is a right-of-passage that deserves acknowledgment and recognition. Make it memorable and fun for that special person who has given their time, energy, and talents to your organization. They'll remember it for the rest of their lives!